I don't even know where to start now that I am back home from Paris. I have hundreds of photos that I am dying to post and I am so excited to finally talk about Paris on Fairytale Kiss. My birthday has whizzed past so quickly and I can't believe how much Ollie and I crammed in for our trip. So grab some nachos and a Pornstar Martini because I am going to be posting a series of Paris related blog posts. I have never visited Paris before so I thought a travel guide would be a great idea. I wanted to start my Paris series with my favourite hobby - eating. 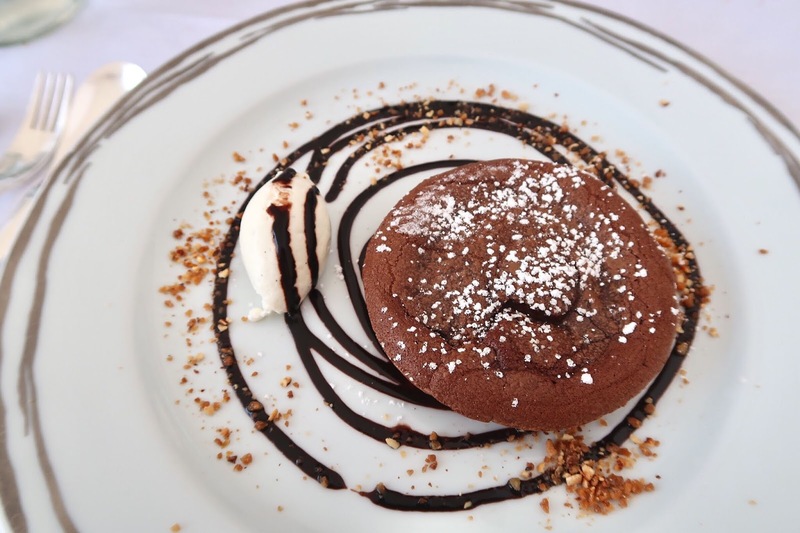 We visited a few restaurants while we were in Paris and I managed to grab my Canon G7X and snap a few photos. If you are planning a trip to Paris, hopefully this blog series will help you. 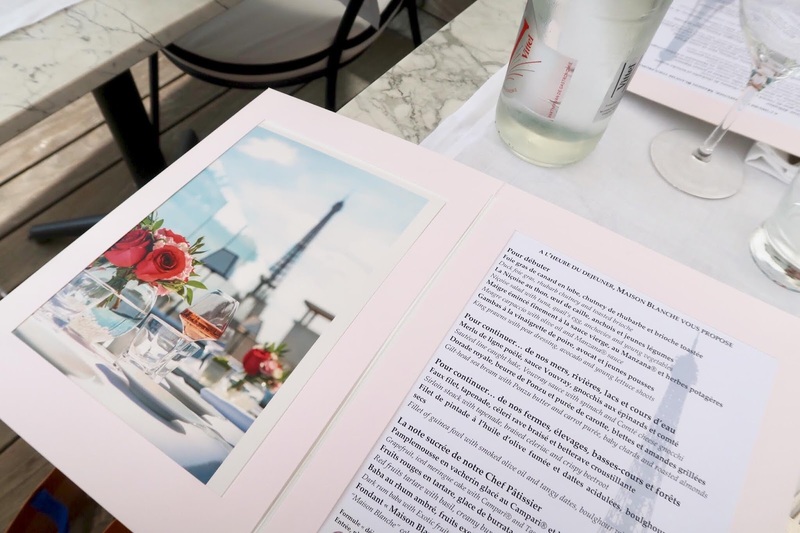 For our first Paris focused post, we will be jumping slightly ahead in our trip, (I'll be writing a separate blog post about my first day in Paris this week), and heading straight to lunch, or more precisely, the Mansion Blanche. 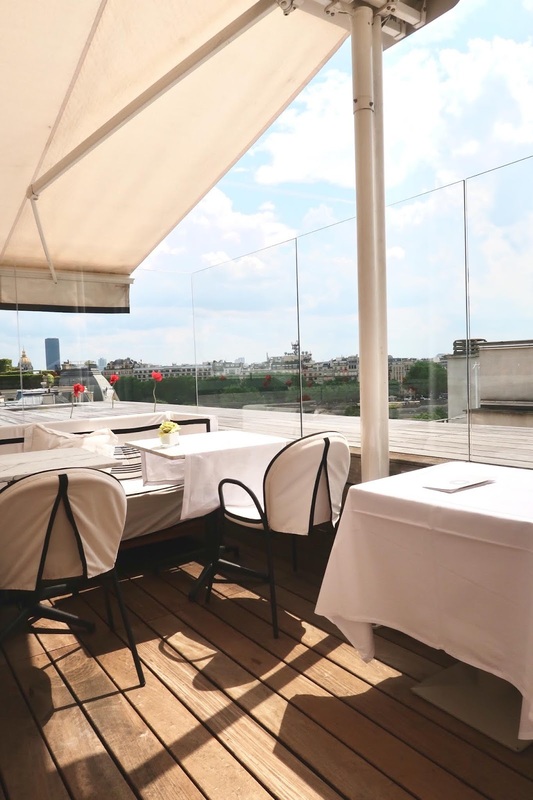 Paris is renowned for exquisite food and luxurious surroundings and it doesn't get more luxurious than having a rooftop lunch opposite the Eiffel tower. Located in the Théâtre des Champs-Elysées theatre, Maison Blanche (The White House) was one of my favourite destinations during our visit. Previously, we had spent the day exploring and walking 20,000 steps so we didn't want to plan too much for the Friday. A big lunch in the city was exactly what we wanted because we were happy to grab something local for dinner later in the evening. After doing some research, Ollie decided to book Maison Blanche. While Ollie booked this for my birthday, I made sure I didn't Google any of the restaurants before we arrived. I love surprises and I wanted to see the menu and interior for the very first time. When we arrived on the top floor, I don't think I was prepared for the view. It seriously looked photo shopped, I couldn't believe how beautiful the buildings were from the rooftop. 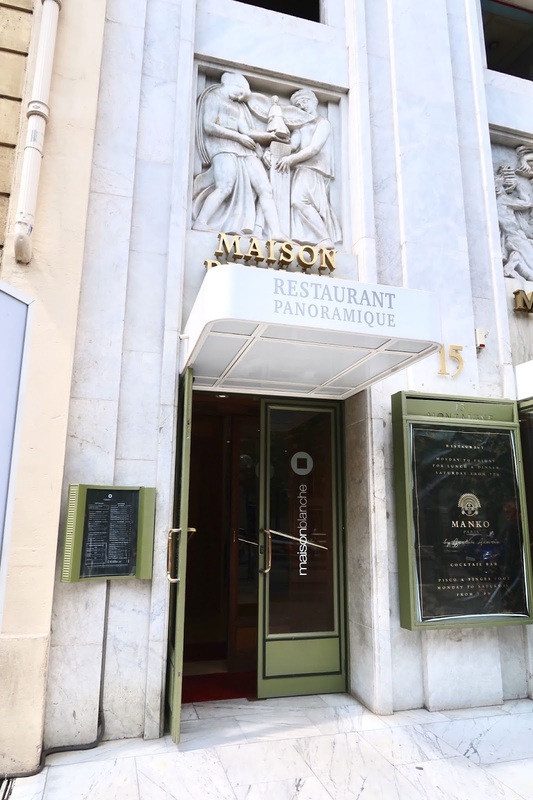 Because Maison Blanche is located on the top floor, this would make a perfect dinner location if you wanted to visit the theatre in the exact same building. We had just spent our morning visiting The Louvre museum and after topping up my lipstick, I didn't really know what to wear for lunch so I wore a long, white halterneck maxi dress and flat sandals. I did have heels in my bag just in case but because we had been walking for quite a while, my poor feet couldn't go near a pair of heels. We were taken to our table and seated instantly and the lunch menu arrived promptly. Ollie is very particular when it comes to ordering food but I love branching out and trying unique dishes. I had previously eaten frog legs the night before so I wanted to try a fish based dish for lunch. 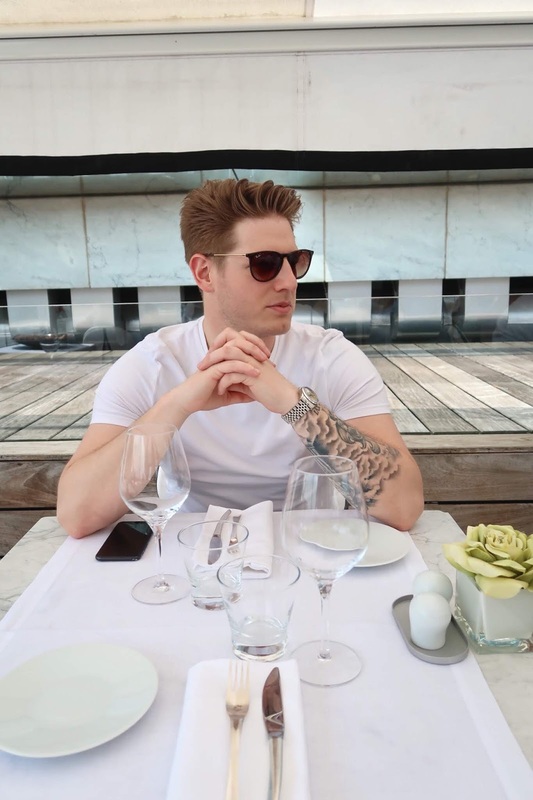 With the menu, you can either have two courses for €48 or three courses for €58, we decided that I would order a starter and Ollie would have a dessert instead. One of the plus sides of travelling with Ollie is that we love sharing and mixing our orders. 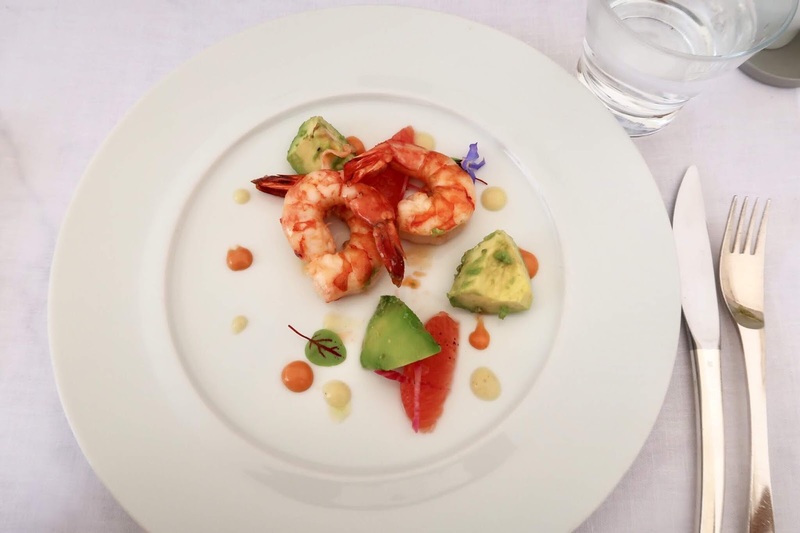 For my starter I ordered king prawns with pear dressing, avocado and young lettuce shoots. I didn't know how the dish would arrive but I loved the presentation instantly. 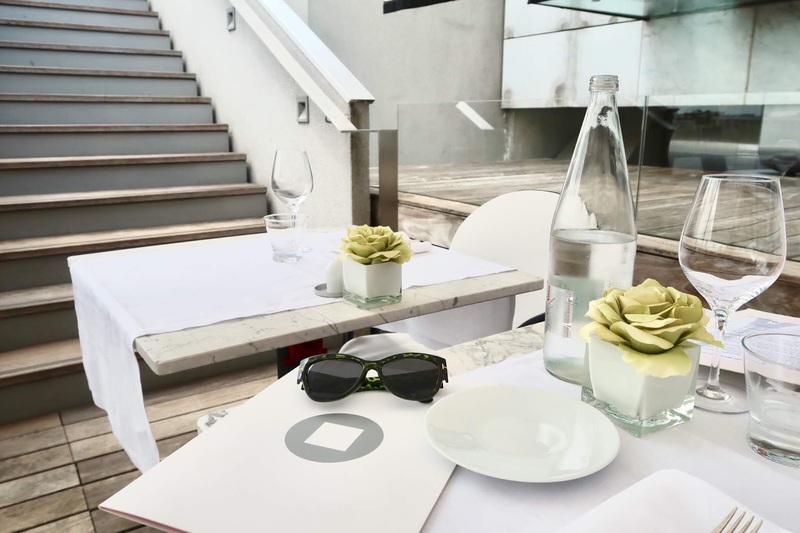 After spending quite some time eating carb heavy dishes and pastries in Paris, I wanted to keep my lunch options at Maison Blanche slightly lighter. I was not disappointed when my starter arrived. The king prawns were bursting with flavour and this was the perfect fresh and healthy pick me up that I needed after spending all morning walking and eating bread and pastries! If you are planning on walking for your trip, I definitely recommend you drink as much water as possible. I am really not a fan of water but I made sure we had a few bottles at the table to keep me hydrated. Ollie did have a few glasses of wine to start with of course. 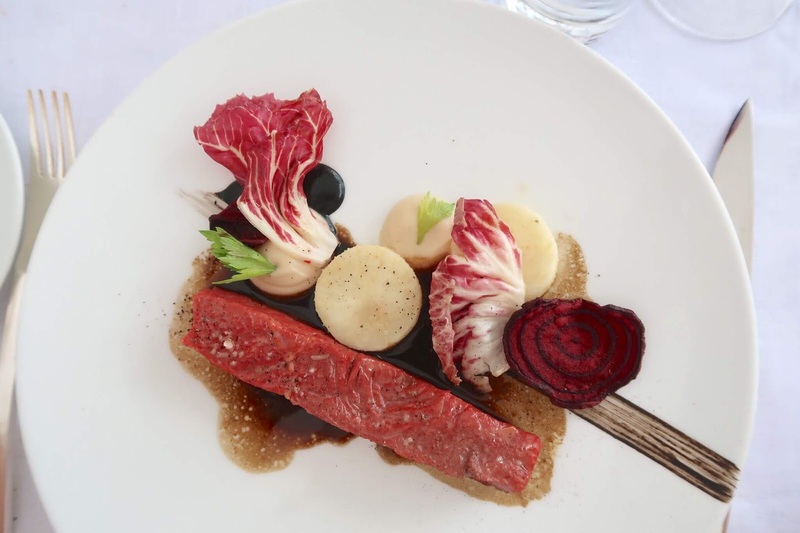 For our mains, I ordered Sautéed line caught hake, Vouvray sauce with spinach and Comté cheese gnocchi and Ollie ordered Sirloin steak with tapenade, braised celeriac and crispy beetroot. 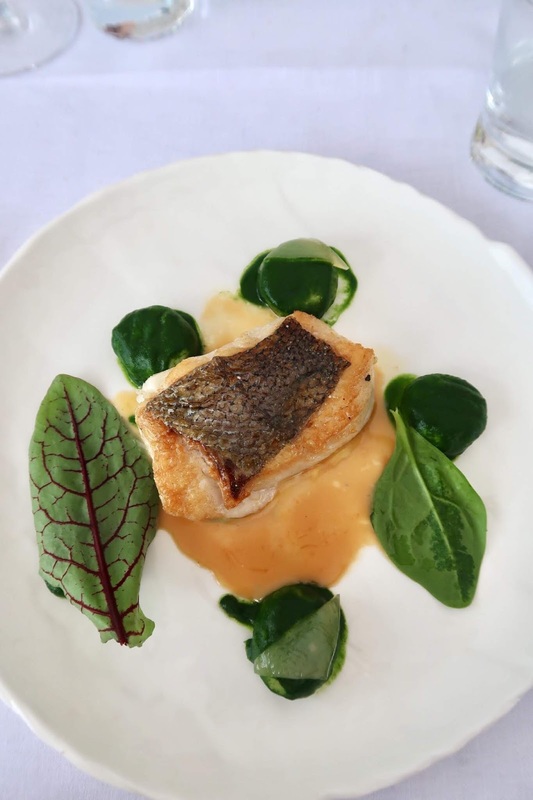 I had never tried hake before but I loved mixing the crispy hake skin and the cheese gnocchi together. The sauces absolutely made this dish for me and I loved trying something different. If you are a fan of creamy sauces and fish, this menu option will make your day. Finally for dessert, Ollie and I shared a “Maison Blanche” cake with Araguani chocolate - this was certainly the highlight of the menu for me. I am not usually a fan of sweet desserts, I prefer ordering savory starters but Paris has officially converted me. The chocolate cake was incredible and if you are looking for something bursting with flavour, this cake will hit the spot again and again. After we split the cake open, warm chocolate spilled out and we were able to combine and rich cream with the sponge and chocolate sauce. It tastes absolutely incredible.